SOLD $141,900 ABSOLUTE AUCTION! 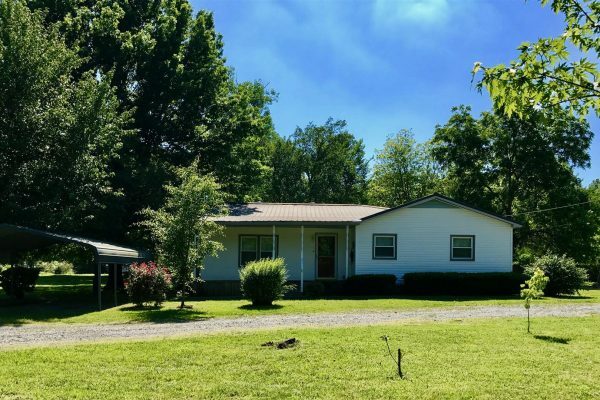 3 BR, 2 BA Home, Covered Porch, 2 Car Detached Garage | Middle Tennessee Real Estate :: Maples Realty & Auction Co.
Don’t miss the opportunity to buy this recently remodeled 3 BR, 2 BA home selling absolute! Featuring hardwood floors, a covered porch, 2-car detached shop/garage, 2 outbuildings, carport, on a large county lot. Conveniently located to Murfreesboro or Smyrna. Directions: NW Broad to right on Florence Road/George Franklin to right at fork onto Florence, property on left.